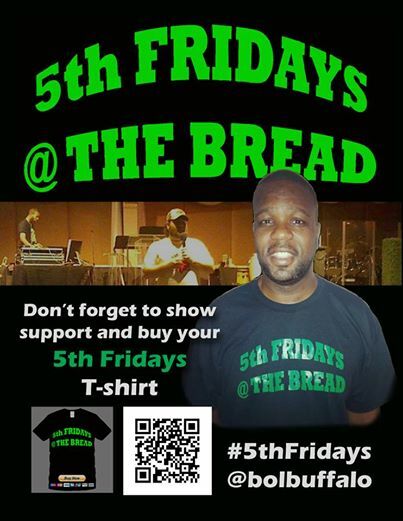 Since April 2011, the Bread of Life Church in South Buffalo, NY was home to the Christian Hip Hop series called “5th Fridays @ The Bread“, Produced and Directed by Shawn Greene, aka, FUDGE. The event focused on local CHH artists, as well as, other regional and national artists. 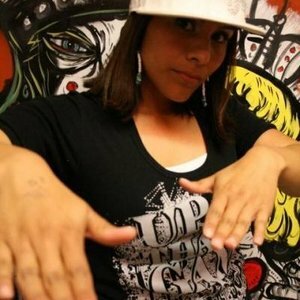 The very first 5th Friday was in April 2011, featuring Zaydok, Shaddie Swag, J Who, Legacy and South Buffalo’s own Profasee. FUDGE hosted the series for most 5th Fridays, but occasionally had our local artists fill in as guest host. Groups and artists that came through were La Familia Muzik, Los-1, Holy Zone Records, Gospel City, J Poet, SOG Crew, K-Drama, Corey Hicks, Brinson, J Skywalker, Julien, and so many more! Our events varied in theme and season. Two summers we had a free backpack with supplies give-a-way and free haircuts. In May 2014, FUDGE had an all female line-up for the first time, with Mahogany Jones, Serious, and Buffalo’s own Anomaly and Fire & Ice, hosted by Evangelist Sheryl. On Holloween Night Oct 2014 we had the first Rock band perform called Lily Among Thorns. We’ve had drama teams, dance teams, rappers, deejays, spoken word artists, and comedians all be a part of the events. The series will host its last event in October 2015. With the rise a new series called The ICU, brought to you by Christ Crusaders Assembly and hosted by Zaydok, a closing chapter to the South Buffalo event was due. “It was a great four and a half years of hosting the 5th Fridays, but it was time for something new to work on.” In 2015, FUDGE created a new annual event focusing on the film industry, called the Great Lakes Christian Film Festival, which will be August 16 – 19 2015 at the Bread of Life Church. We are greatful for all the support over the years, especially to the sponsors like, Kingdom Bound, Flavor Radio, One Accord DJs, D I Media, The Teacher’s Desk, and local pizza shops in the South Buffalo neighborhood. Shout Out to all our local talent that showed love and shared their time and testimonies over the years: Legacy, J Who, Zaydok, Shaddie Swag, Constant Battle, Profasee, Joey P, Fonz Carter, Kulu, Isreal Ghetto Gospel, MAiNE, Anomaly, Shaunta, Tito, Bryant Santana, Frankie J, Fire & Ice, etc. Shout Out to all the DJs that lit up the 1s & 2s, DJ Issachar, DJ Legacy, DJ Lagit, DJ Henri Tee, DJ Crazy One, DJ Vibe, J Who, and DJ Siren.